A voluntary afternoon fishing ban is in place for sections of the lower Crystal and Roaring Fork rivers, among others. Mitchell sends out the Conservancy’s weekly streamflow report, which of late shows mostly red (meaning flows less than 55 percent of average) or only-recently-needed maroon (less than 30 percent). The one bright spot is the Fryingpan River, which is flowing at slightly above average thanks to an agreement that increases how much is released from Ruedi Reservoir, as well as the “Cameo call” on the Colorado River which has basically shut down diversions to the Eastern Slope in favor of senior water rights downstream. The Colorado Water Conservation Board has also placed a call on the Crystal, but the junior water rights may not be enough to keep water in the river. Additionally, a recent agreement aimed at reducing agricultural diversions won’t be enacted this year. Still, Mitchell sees efforts at conservation as a step in the right direction amid increasing aridity. She praised the Town of Carbondale’s decision to enact water restrictions on both treated and ditch systems, and encouraged individual residents to do what they can to reduce their use. Extremely low flows on the Crystal River have led to action by state officials, including turning down a diverter’s headgate and placing a call for water. The CWCB used the river [gage] near the state fish hatchery in Carbondale to determine that flow conditions were too low. As of Friday morning, the Crystal at that location was running at roughly 8.8 cfs. DeWolf said they first turned the Lowline’s headgate down by about 5 cfs on July 23, then again the next day for a total reduction of about 8 cfs. “With our new direction, (curtailment) is become more common,” DeWolfe said. Because of diminishing flows on the Crystal, Wolfe said the Lowline Ditch was diverting roughly half the volume it was running at after it was curtailed July 23, which was about 19 cfs as of Friday. 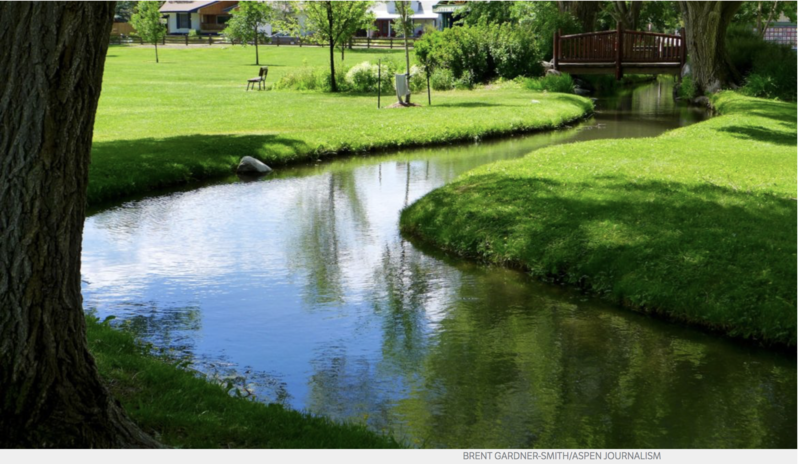 Editor’s note: Aspen Journalism is collaborating with The Aspen Times and the Glenwood Springs Independent on coverage of water and rivers. This story appeared in the Aug. 6, 2018 print edition of both papers. This year started with a thin snowpack that ran off early and now has found trouble in a hot and dry summer. 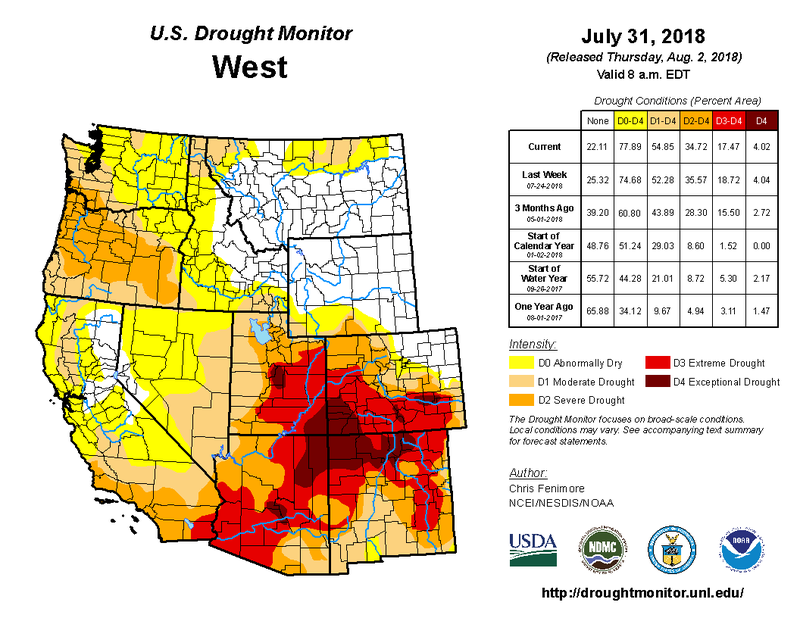 The Bureau of Reclamation determined this week that 2018 had produced the fifth-lowest amount of runoff from the Colorado and Green rivers down to Lake Powell, between April and the end of July. That puts 2018 behind only 2013, 2012, 1977 and 2002, the low-water mark. And locally, this year is now revealing dry reaches in the Roaring Fork and Crystal rivers not seen since 2012 or 2002. Friday just before noon, the upper Roaring Fork River was dribbling through Aspen at 9.12 cubic feet per second, well below the environmental flow level of 32 cfs set by the state. Also Friday morning, which saw some rare rain to the valley, a section of the lower Crystal River just above the state fish hatchery outside of Carbondale was barely running at 8.86 cfs. Hunter Creek in Aspen was “flowing” at 0.48 cfs at its confluence with the Fork on Friday. That’s less than even half-a-basketball full of water in the stream bed. Another indicator of how dry 2018 is shaping up to be is the gage on the Roaring Fork River at Stillwater Road, just east of Aspen. A similar indicator can be found on the Crystal River at the gage that measures the river’s flow below Redstone, and above a series of diversion structures on the lower river. 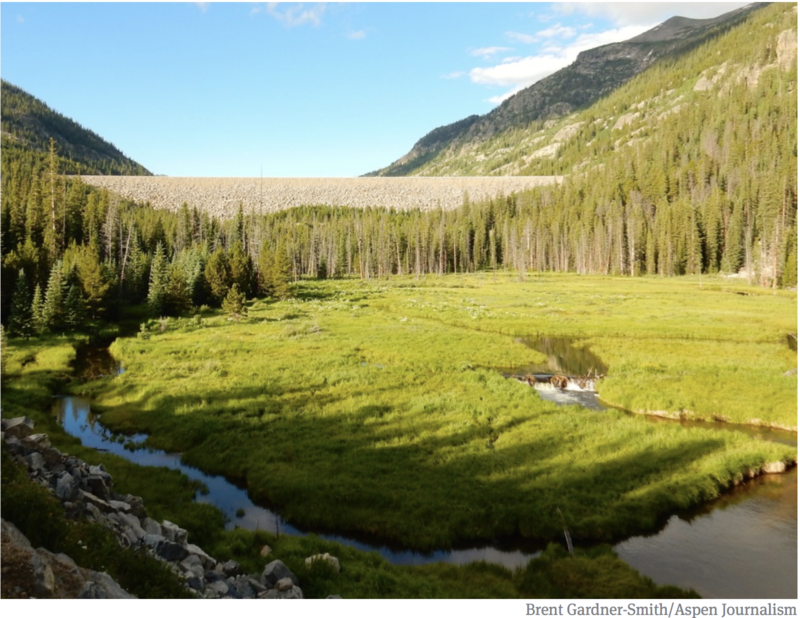 On Friday, for example, no water was being diverted upstream off the top of the Fork via the Twin Lakes/Independence Pass diversion system, and a related 3,000 acre-foot allotment of water that can be used to bolster flows already has been sent downstream. 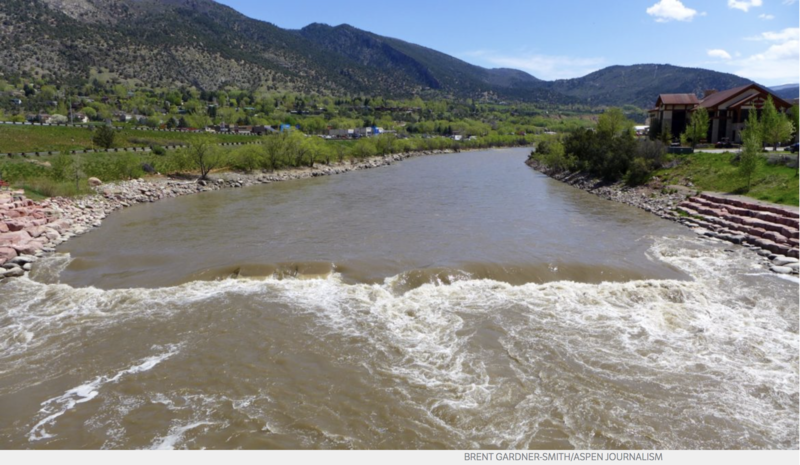 Editor’s note: Aspen Journalism is covering rivers and water in the Roaring Fork and Colorado river basins for The Aspen Times. More at http://www.aspenjournalism.org. 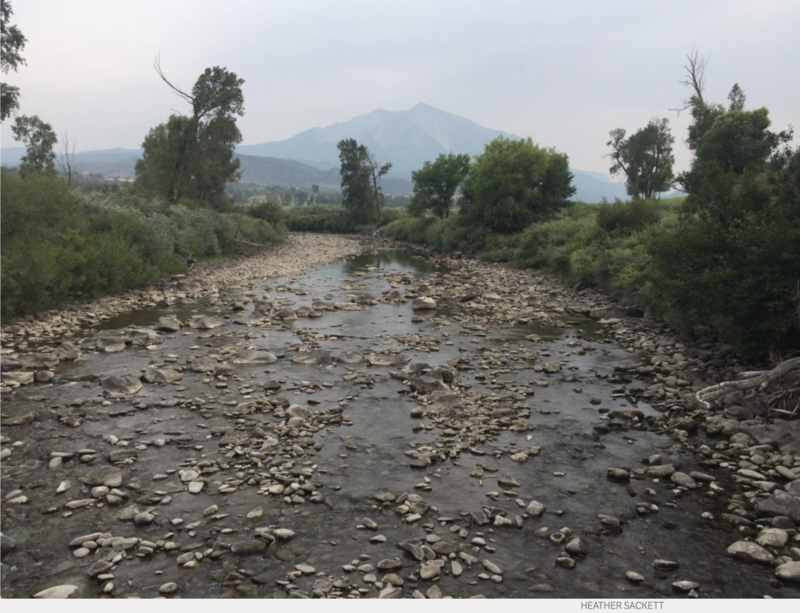 Five water plans or projects concerning the Roaring Fork, Colorado and Eagle rivers are on track to receive $337,000 in state funds to study water users’ needs, plan for future water use and restore river ecosystems. The efforts include a web-based information system about the Roaring Fork River watershed, restoration work on the Crystal River near Carbondale, an agricultural-water study in Garfield County and funding for two integrated water management plans for the Eagle River basin and a section of the Colorado River. All five of the projects are part of a bigger effort toward stream management planning and list that goal in their grant applications. 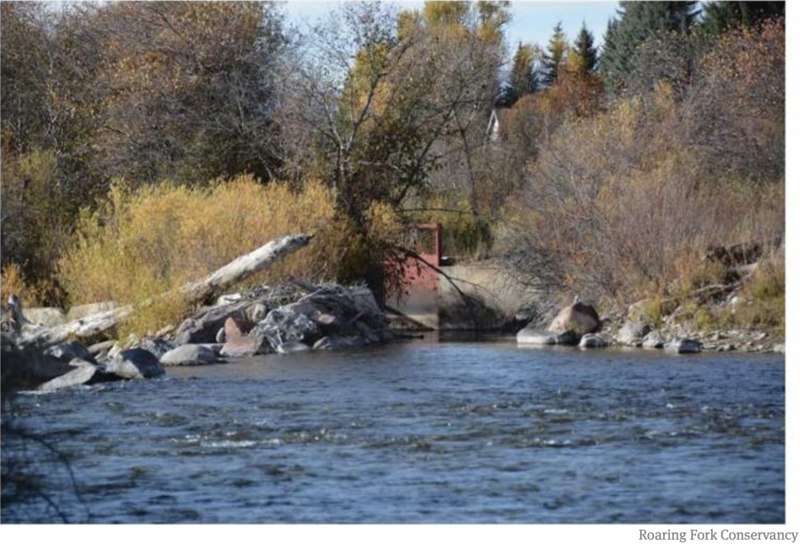 An objective of the 2015 Colorado Water Plan is to cover 80 percent of rivers with stream management plans. 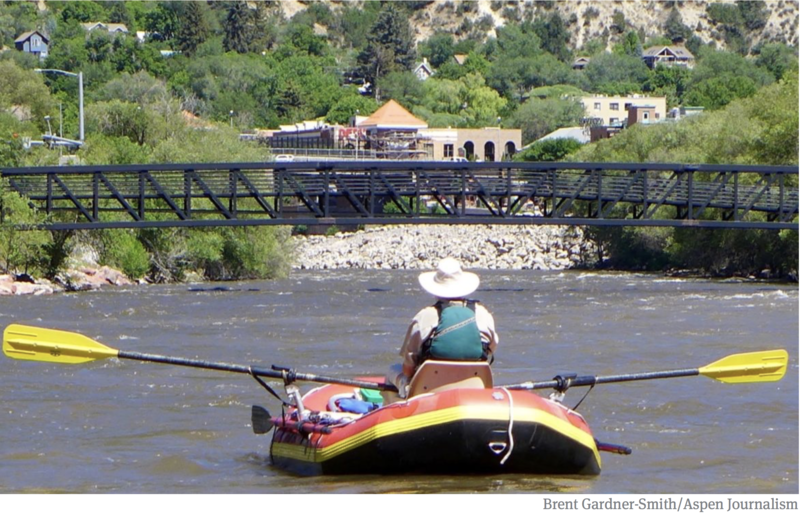 Such plans already exist, or are in process, for the Poudre River, the Crystal River, the North Fork of the Gunnison, the Upper Gunnison Basin and the San Miguel River and have been proposed on the Eagle, Yampa, Upper San Juan and Middle Colorado rivers. Last month the Colorado River basin roundtable, which meets in Glenwood Springs and reviews and votes on water-project grant requests before sending them to the Colorado Water Conservation Board, approved a $37,000 request from the Roaring Fork Conservancy to create a $50,000 public interactive map and information system. 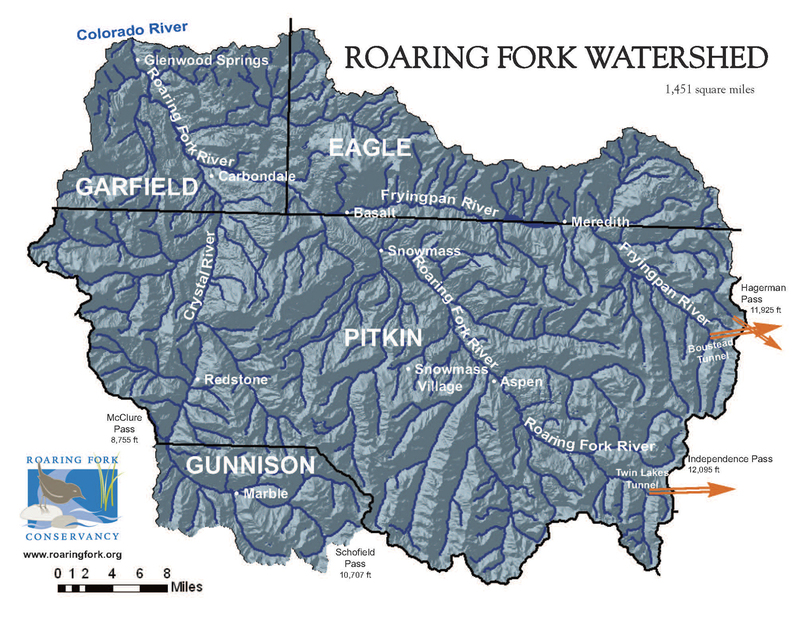 Anyone from school kids to scientists would be able to access, search and sort data about the Roaring Fork. 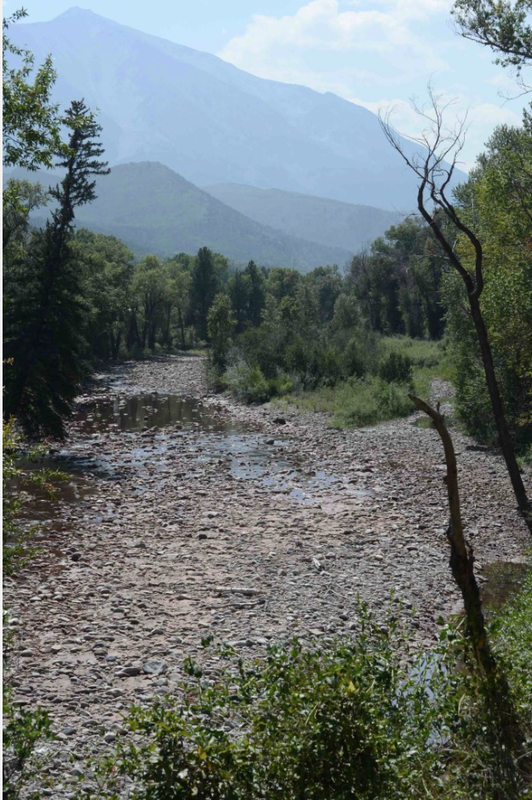 The project will organize the information contained in the 145-page Roaring Fork Watershed Plan so it’s easier for the public to find and understand. In March, the CWCB approved a $20,700 grant from the town of Carbondale to restore and enhance a half-mile stretch of the Crystal River near the state fish hatchery, as well as make improvements to the town-owned Weaver Ditch headgate and diversion structure. 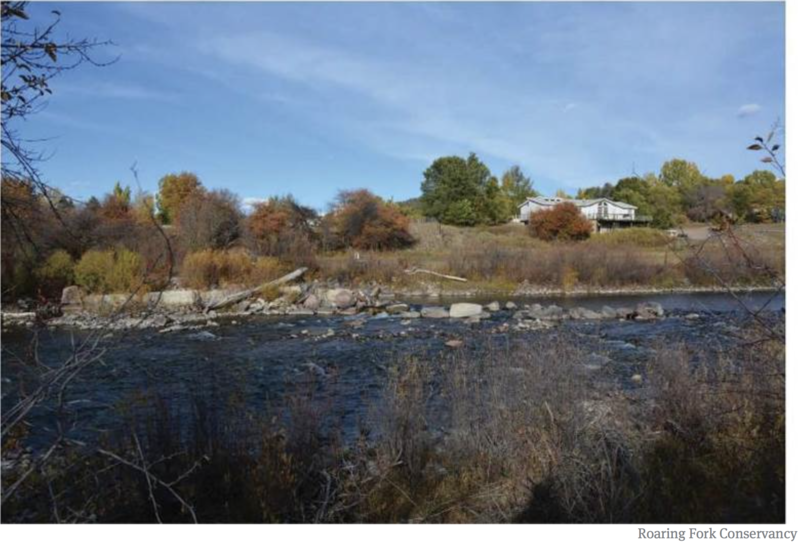 The project aims to restore ecological health by reconnecting the river with its flood plain, improve river channel stability and enhance a riverfront park with signs and trails. The project, at a total cost of $200,000, also is being funded by the town, Great Outdoors Colorado, and Aspen Skiing Co.’s environmental fund. The CWCB also approved grants last month to the Eagle River Watershed Council and the Middle Colorado Watershed Council. Both groups received funding for their respective stream management plans, which emphasize collaboration among water users. Eagle received approval for $75,000 and the Middle Colorado for $103,800. The Middle Colorado stream management plan will cover the main stem of the Colorado River from Dotsero to DeBeque. It will identify water needs for non-consumptive uses, like the environment and recreation, which depend on sufficient water left in a river or stream. The state funding will be used to evaluate ecosystem health and water quality, and to develop hydrologic flow models. 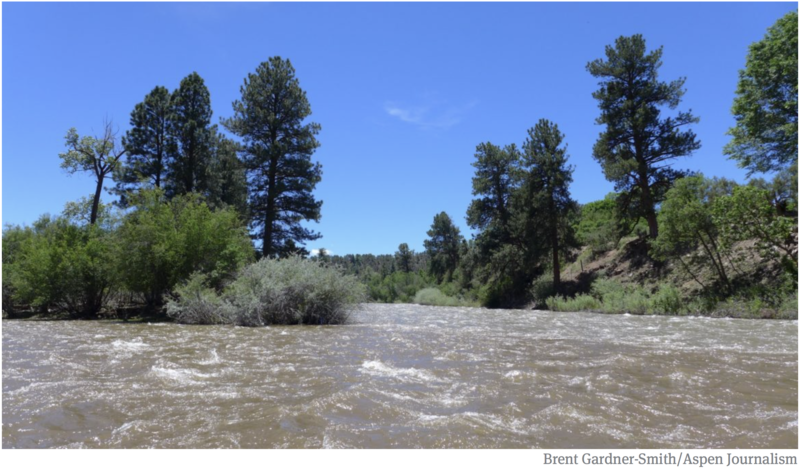 “The question is if we see any issues that are flow-related and what additional flows do we need to attain a healthier ecosystem,” said Laurie Rink, executive director of the Middle Colorado Watershed Council. Rink will soon be moving into a project management position so she can devote more time to developing the stream management plan, and the watershed council will hire a new executive director. In addition to $103,800 from the state, the council is seeking funding from Garfield County, Rifle, Glenwood Springs, the Colorado River District, and the Tamarisk Coalition for a project total of about $415,000. A key to understanding the Middle Colorado River and its tributaries is also understanding agriculture’s use of water from the river system. But the ag community has historically been hesitant to participate in studies that focus on recreation and environmental concerns. This study aims to bring them into the fold of stream management planning. 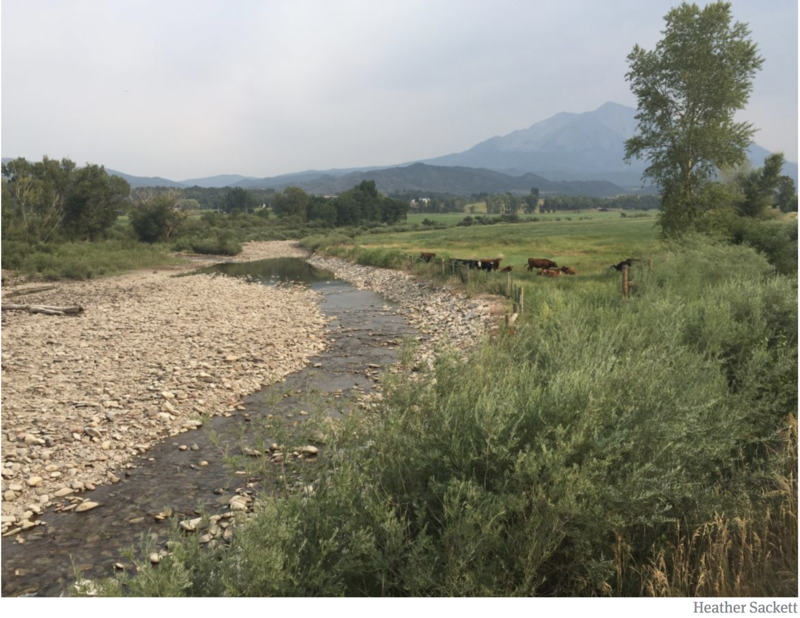 To help get consumptive users involved, three regional conservation districts, the Bookcliff, South Side and Mount Sopris districts, have teamed up to do their own study of ag’s use of water. “We really want to understand for our watershed both the consumptive and non-consumptive uses we have and what gaps exist,” Rink said. 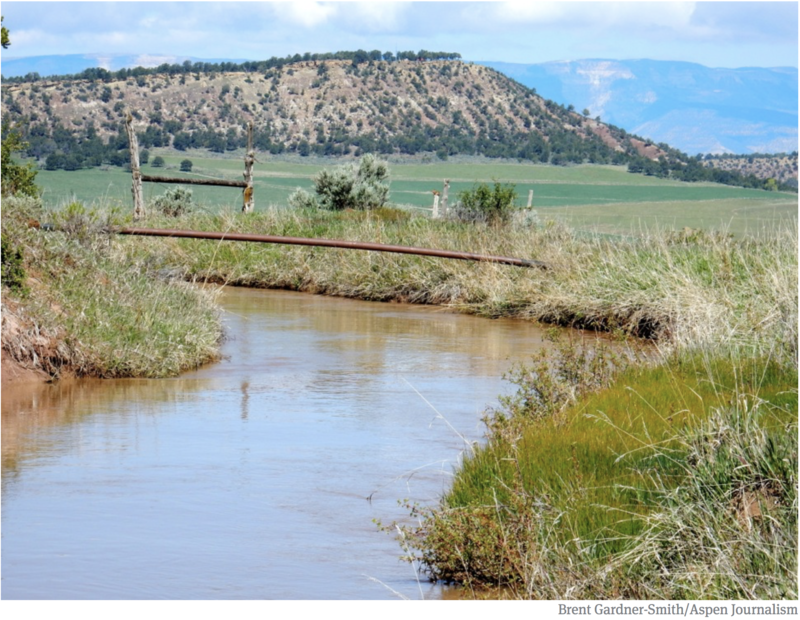 At its March meeting the Colorado basin roundtable approved a $100,000 grant request for the three conservation districts to create an “agriculture water plan” for Garfield County that will inform the stream management plan being done by the Middle Colorado council. That grant request now goes to the CWCB in May. 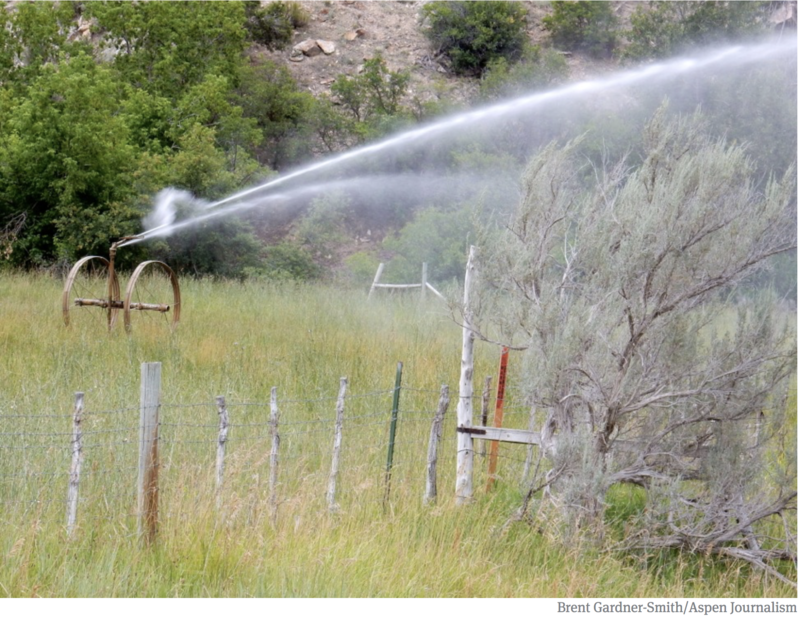 The ag-water study would focus on ag lands between Glenwood Springs and DeBeque, and aims to determine the current irrigated acreage and to conduct an inventory of irrigation ditches. The study also would determine water needs for the crops and develop a plan to protect agriculture water. 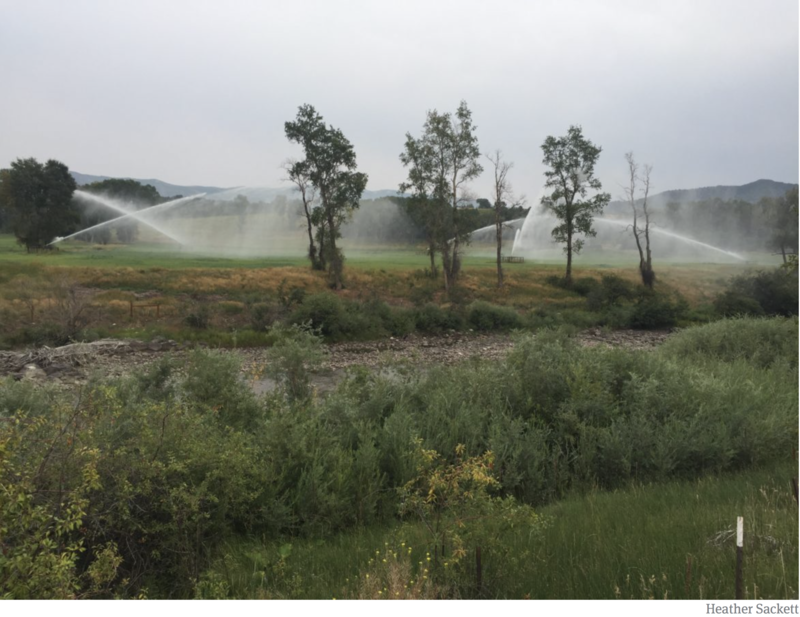 In 2016, the Eagle County Conservation District completed a similar irrigation asset inventory, the results of which officials said should remain private, although the study was paid for with public funds. A few miles upstream, the Eagle River Watershed Council is developing its own stream-management plan. Its plan aims to develop water management recommendations based on three factors the watershed will face in the coming years: increased municipal demand for water that comes from population growth, climate change, and still-to-be-developed projects related to the “Eagle River MOU” project, which could include new or expanded reservoirs and transmountain diversions to the Front Range. Loff said she expects the entire stream-management planning process will take three years to complete. In addition to the $75,000 from the state, the Eagle River Watershed Council also expects to receive money and in-kind donations from Vail Resorts, Homestake Water Project Partners (Aurora and Colorado Springs), the towns of Avon, Gypsum, Vail and Minturn, Eagle Park Reservoir Company, Climax Mine, Eagle County, and the Colorado River District for a combined total project cost of nearly $390,000. Editor’s note: Aspen Journalism is collaborating on coverage of rivers and water with the Vail Daily, the Summit Daily, the Glenwood Springs Post Independent, and The Aspen Times. The Times and the Post Independent published this story on Monday, April 9, 2018.